Description: Fresh water fish Grayling, thymallus thymallus swimming and eating aquatic insects in a natural stream. Underwater footage. River habitat. Little creek. 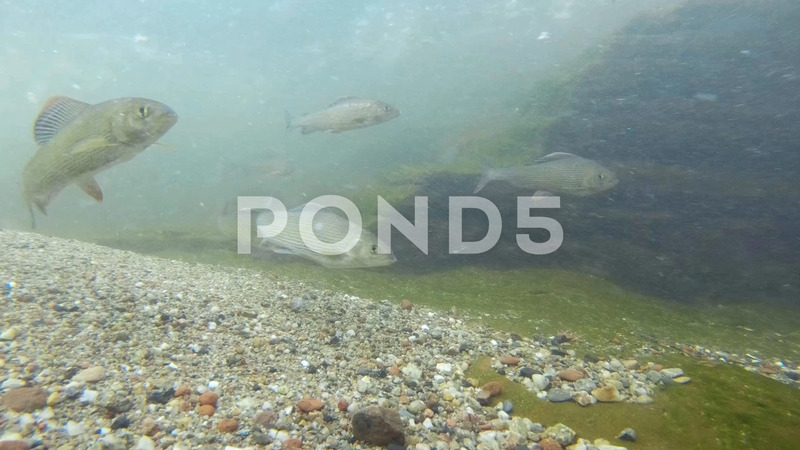 Underwater footage with Äsche.